Categories: Uncategorized | Tags: #schools and creativity, #sirKenRobinson, #sydneydyslexia | Permalink. Is that why we don’t read much any more? I had been wondering, why reading gets more and more sidelined. Even the books that the kids like to read are in diary form, different fonts, cartoons, snippets. All of them seem to need a much shorter attention span than getting absorbed into a novel. Categories: Uncategorized | Tags: #sydneydyslexia, dyslexia fun, reading | Permalink. To tell you the truth, research has never interested me – I have seen so many success stories in my ten years of being a Davis Dyslexia Facilitator, that it’s not that relevant for me. I know that others do want to have ‘proof’ that this is the right path – and of course there is value in that. Categories: Uncategorized | Tags: #research into Davis Dyslexia Correction, #sydneydyslexia, Davis Research | Permalink. I always find it interesting when stories come around that proclaim astonishment at the success of a dyslexic individual. These reports are often accompanied by phrases like: ‘He didn’t let Dyslexia get the better of him’, or ‘He or she achieved this despite being dyslexic’ or ‘he turned his struggle into success’. What people often don’t realize (dyslexics included), is that they are brilliant BECAUSE OF THEIR DYSLEXIA, NOT DESPITE IT. Their talents, in this case a Scott’s student’s IT talents, are caused by their visual strenghts, their creative ideas, their big-picture mind and problem solving brains. Categories: Uncategorized | Tags: #success of dyslexics, #sydneydyslexia, #TheRightBrain | Permalink. Categories: Uncategorized | Tags: #Jaden and Willow Smith, #school and depression, #sydneydyslexia | Permalink. My child is really bored at school – and often at home too. What can I do to help him? When I have a client who starts to yawn or looks like he is bored, it indicates to me that there is something he doesn’t understand – and that he needs a break. 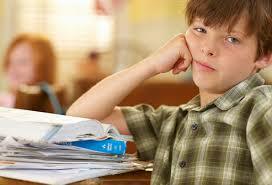 Most children who breeze through work, fully comprehending what they do, will only get bored with too much repetition. This of course does not apply to my clients. In the beginning they are struggling to follow instructions, grasp concepts, stay focused and apply what they have learned. Not surprisingly the overload will cause them to disconnect. The result of such a confusion and overload is disorientation. Disorientation can show in many ways: the colour of the skin changes, the eyes are not engaged, fidgeting, breathing changes, mistakes are made – and quite often yawning. Most people might assume then: My child is bored or I am too slow. Instead of giving the child a break and then go back and slow down, they speed up or push on. Teachers may not know this and it helps to ask a child questions that will indicate if the material that was just covered is really understood. Thank you so much for entering our lives. I have a good feeling about this too. I’ve started to read your book and I couldn’t stop crying. It’s the relief mostly. Knowing now that he’s actually a picture thinker, a right brainer! And that there is light for him. Peter is unique and after your initial consultation and reading into it more, I can understand his behaviour now. I had the perfect example of this, this last weekend gone by. Instead of finishing a PDHPE assignment that was already 2 days late, he firstly fell asleep at the table, then after I let him sleep, later began to find things to fix, like the unused doorbell. 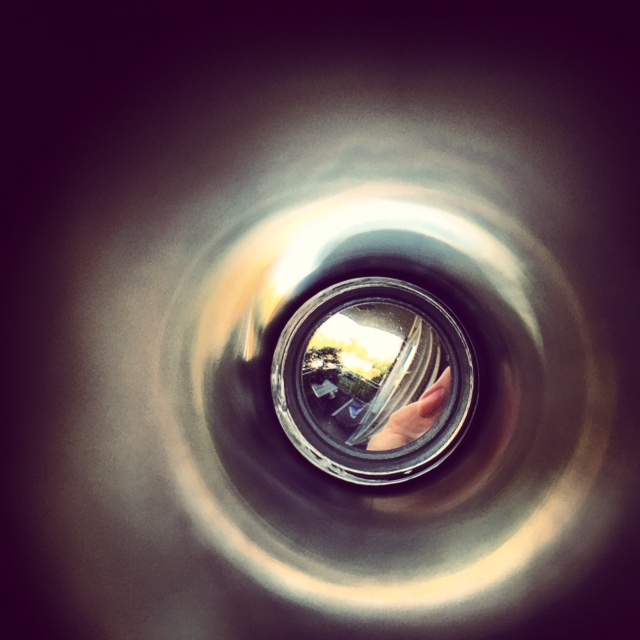 He also unscrewed the peep hole out of the door and proceeded to take a photo through it. Which was actually a really creative idea, but at the time I just wanted him to focus on the work. 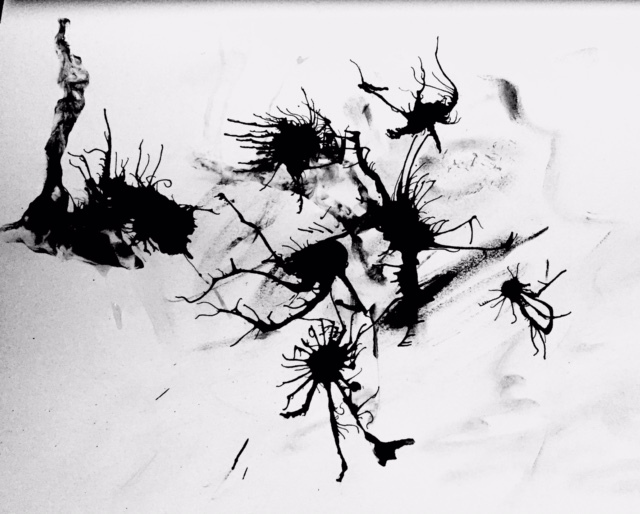 Later he tidied his room arranging 3 skateboards and creating a mood with coloured lights, then proceeded to lie on the floor and do an drawing, blowing ink around a page. I wasn’t aware he was doing all this, I was too busy doing his assignment, until he asked to use my phone to take a photo. His focus is shocking, but now I know why. But something has to give because he’s got a lot of work ahead of him and he can’t continue to use me as his scapegoat. And It stresses me out so much. I’ve also discussed this a bit with him, that I understand him better now and that I’m relieved we’ll be getting him help to focus. I am sure there are a few mothers who can relate very well to this story. I have changed the name and feel honoured to be working with this young man soon. Sounds like a lot of fun! Please let me know if this story resonates with you – or if you have a similar example at your home! Categories: Uncategorized | Tags: #art and creativity in dyslexics, #avoiding homework, #dyslexia and creativity, #sydneydyslexia, #therightbrainfortherighttime | Permalink.